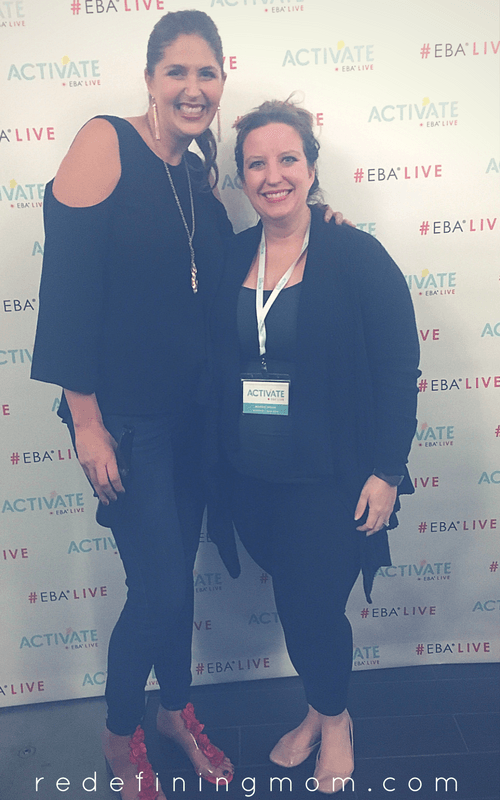 In early September 2017, I attended the first ever Activate EBA Live conference in Portland, OR. 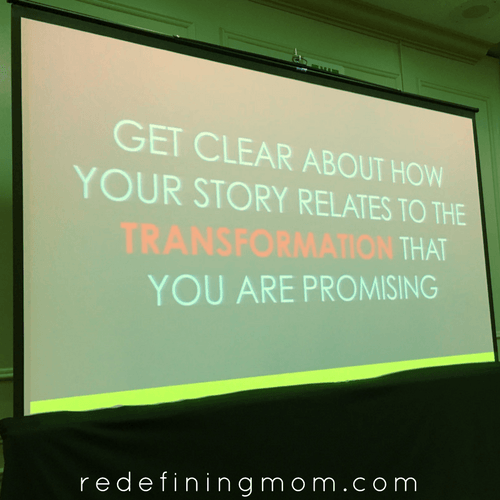 Not only did I meet amazing people and some of my blogging mentors, but I also had major mindset shift. 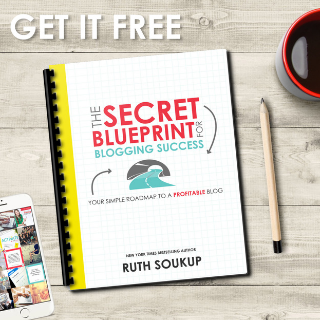 I am excited to share with you 5 valuable lessons I learned from Ruth Soukup, a successful 7-figure blogger and the person behind Activate. Professional blogging is a lot of work and sometimes it can feel isolating, lonely, and incredibly hard. Meeting other bloggers in person is incredibly inspiring. I found encouragement from new, intermediate, and advanced bloggers. One thing I learned while I was there is everyone has a story and learning from other people who have taken a different path than you is super beneficial. Affiliate links are included below. This means I get a commission, at no additional cost to you, if you purchase a product I recommend. I value my readers and take my commitment to you seriously. I do not recommend anything I have not used and found value from myself. Ruth runs a multi-million dollar business born from her success with Living Well Spending Less. She has twenty team members, two blogs, many products, courses, a physical planner, a virtual store, and much more. My point in telling you this… Ruth knows what she’s talking about. The lessons I share below are my takeaways from the 2-day pre-conference workshop on launching a product and the 2-day main conference. I hope you find the lessons as valuable as I do! Ruth and I at Activate 2017! EBA OPENS FROM ENROLLMENT ON MARCH 4, 2019. This generic blogging advice is all over the internet for free. Ruth makes you identify your avatar in the very first unit of EBA. I even completed her avatar exercise as I was going through the course. I still missed the point. Ruth told us about her avatar, her name is Julie. Julie is more than a bunch of generic facts like age, gender, location, marital status, number of kids, etc. Julie represents the hopes, dreams, challenges, and struggles of the person Ruth is trying to serve in her blog posts and weekly emails. What is Julie’s felt need? What can I write to Julie that will compel her to take a transformative action in her life? Not everyone who follows you will fit your Julie perfectly and that’s why most people skip over the avatar exercise because it’s hard to alienate people who might be a potential customer. I struggle with this almost daily. Kate is a working mom who doesn’t feel guilty about working. She doesn’t want to be a SAHM and she’s confident in her decision. She is a working professional. She’s classified as an older millennial. She has the work ethic of a Gen-Xer but the social ideals of a younger millennial. She started her career several years before having kids and now she’s at a crossroads. She still wants to work and use her professional skills but she feels like the balance of time is always at work and never with her family. She craves a more flexible work environment but doesn’t feel she can achieve that in her current circumstances. She’s looking for a solution that will allow her to work from home and repurpose her skills. She will not keep her kids at home with her when she works but she will bend her work schedule around her children’s needs. See, I know Kate. I can help Kate. The problem? What I teach can also help a SAHM who wants to start a side hustle and profit off of her skills or passions. Over the last year, I lost touch with Kate and went too broad with who I was speaking to. I started talking to everyone instead of Kate which watered down my messaging. Here’s the deal… I can still help a SAHM who wants to keep her kids at home with her while she works. There’s no reason she can’t purchase a product from me but my message isn’t targeted to her. Takeaway: Name your avatar and only talk to her. The more dialed in your message is, the more successful you will be. It may feel counter-intuitive but this is the real secret to being a successful blogger. Uh huh. When you play the comparison game, you’re giving up your power to the other person. Stop comparing yourself to others around you. Your journey is not the same as theirs. Do you know how many bloggers talk about personal finance? THOUSANDS. Do you know how many bloggers talk about getting out of student loan debt? THOUSANDS. Should this stop you from writing about personal finance and talking about getting out of student loan debt? NO. Why? Because you have a unique story to share, your unique experience can help people that the other bloggers cannot relate to. Your story matters. Your transformation matters. Ruth asked us, what are you good at? Her point is simple: stop focusing on what you’re not great at and start doubling down on what you’re awesome at! That sounds so simple, doesn’t it? The truth is, many bloggers spend way too much time trying overcome their weaknesses and not nearly enough time trying to capitalize on the natural strengths they already possess. Takeaway: Invest in Strengths Finder 2.0 from Gallup. I purchased the Kindle version for $20 and it comes with an online assessment that will help you identify your strengths so you can capitalize on them. Ruth is a firm believer in this assessment and makes all of her coaching clients take it before they work together! Ugh, failure. I’m telling you, when something doesn’t work out as planned in this business, it can really break you. Imagine the first time you launch something, following all of the advice of the online marketing gurus and ending up with $0 in sales. You probably spent at least $1,000 on the launch and have nothing to show for it. How depressing and demotivating would that be? Very. I know. I’ve had my fair share of failures over the last year. Sometimes I was ready to quit. So imagine my surprise when Ruth got up on stage and told us she invested tens of thousands of dollars into a failed membership site. The part that stuck out to me… she already had a successful business at the time and she still had a total product failure. A failure can only be a failure if you don’t learn from it. Every misstep comes with a valuable lesson. If you choose to focus on the negative, you’ll never be successful. 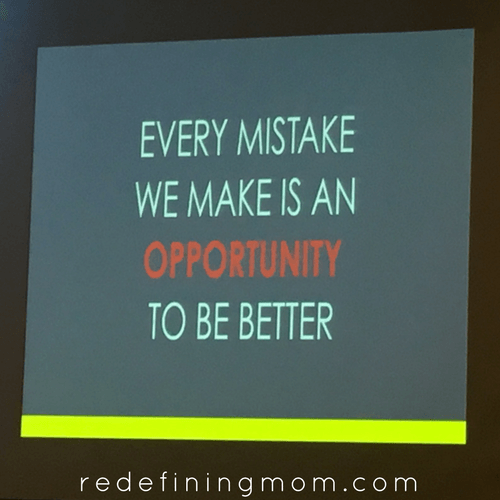 Takeaway: Failure builds character, it’s humbling, and it teaches valuable lessons — if we choose to learn from our mistakes instead of wallowing in them. Shiny new object syndrome. Yes? After spending thousands on online courses, coaching programs, and masterminds it can be tempting to STOP investing. There comes a point when you’ll look at your bottom line (profit) and start to think…I’d rather put more of my earnings in my bank account instead of giving it to other people. Ruth opened my eyes to the importance of constantly up leveling our investments in personal and business development. She has a multi-million dollar business and has participated in several masterminds over the years. Learning from people in different niches and industries broadens your business knowledge. You’re constantly in a state of change. The moment you STOP learning is the moment you’ve stopped growing. Takeaway: Don’t be afraid to invest in courses and programs. Instead be super selective about what you invest in. Invest in what you need right now to take you to the next level. Don’t get caught up in shiny new object syndrome. Ha, well, I’ve been saying this for over a year now. I strongly believe I would not be making a full-time income if it wasn’t for my email list. It’s encouraging to hear a very successful blogger confirm this fact. Ruth spent the entire 4 days constantly reiterating that success rests with your email list. Your blog is the start of your funnel. Your blog is an entry point to bring people to your email list. So often bloggers get caught up in page views that they forget they’re missing a key opportunity. An email address gives you a one-way ticket inside of a potential customer’s most valuable digital space — their inbox. Think about it, what good does a 30-second page view from Pinterest do for you? (This is the exact reason I created my course, Pin Practical). The chances of a person ever coming back to your blog again are incredibly slim unless you can pop into their inbox and regularly remind them that you exist! I could go on about this forever and so could Ruth. 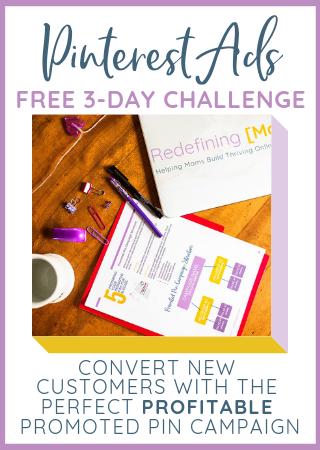 I’ve created a free Email Marketing Series (with video instructions included) to help you get started. Seriously– no more excuses! Takeaway: If you want to turn your blog into a business, you must have an active and engaged email list. Your email list will account for 80%+ of your income. I like to break things down into practical steps. Here’s a list of suggested steps I would take if you’re feeling as motivated as I did after leaving Activate! If you’re not already an EBA student, get on the waiting list now! While you wait, Ruth sends out fantastic and actionable content. 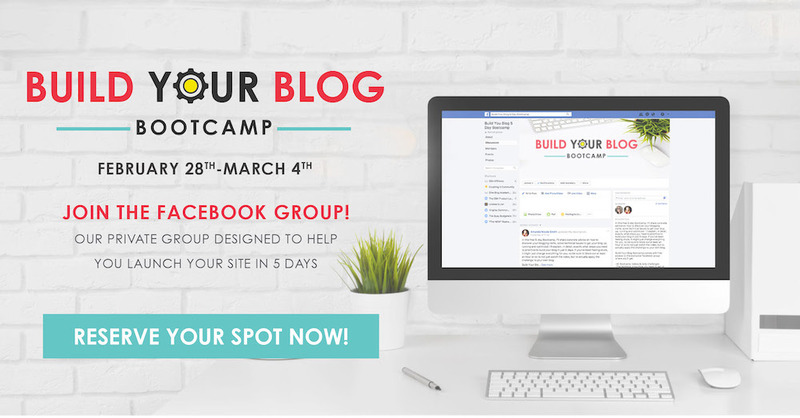 Join a mom blogging Facebook group (or several!). There are so many fantastic groups of supportive mom entrepreneurs. Start your email list RIGHT NOW! This time last year, I wouldn’t have considered myself an influencer in the blogging world. During the conference, Several people told me they were on my email list or taking one of my courses. Woah, how amazing is that! It made me feel like all the hard work over the last year has really started to pay off. I’m proof that hard work, dedication, and never giving up pays off. Elite Blog Academy played a big role in helping me get to where I am today. Thank you so much for sharing. Your takeaways are very valuable, especially the part about the avatar. I’m glad you gave an example because I never thought to go that descriptive but I think this will really help when writing emails and building content. Monica – This is exactly what I needed to read this morning! Thank you for the advice, encouraging words and being positive! I love how you say “stop comparing!” This is such a great reminder to be authentic and to truly be yourself, no matter what your following is! Thank you for these helpful tips! Thanks for stopping by, Erin! I’m with you on the comparison traps. I spent 2017 actively working on my mindset with this! This is one of the best blog posts I’ve read in a while (and I read a lot as a new blogger!!) thank you so much for your insight. Thank you so much for stopping by, Amy! I’m glad you liked it.